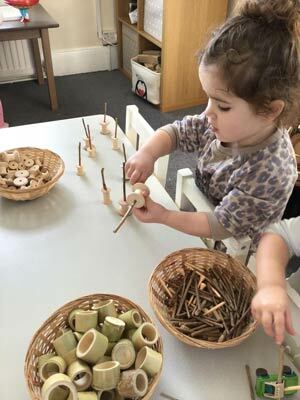 At Hove Village we value creativity in all that we do and foster an environment that supports children’s imaginative play. This enables children to explore and make sense of the world around them, testing their theories and ideas in an innovative way unique to themselves, safely supported by the skilled educators and our creative team. 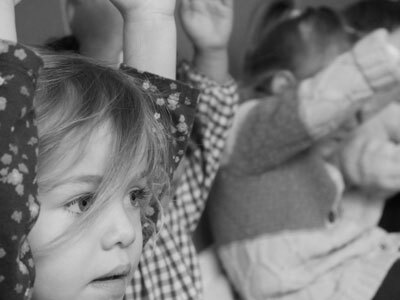 For 18 years, Hove Village's founder developed and delivered a programme of creativity-inspired classes for babies and young children which reached over 150,000 children across the U.K. and Europe. Caterpillar Music grew to become one of the leading companies of its kind, delivering classes at 200+ locations nationwide (read more). These award-winning classes have been featured on The BBC, ITV and in national newspapers and is where Hove Village's uniqueness derives. 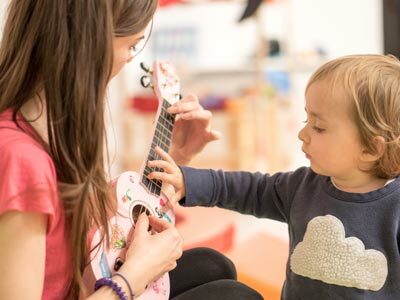 Children at Hove Village are offered opportunities to participate in classes specifically designed for them within the nursery, using a variety of expressional languages to discover their own personal preferences through song, dance, yoga and storytelling. All of the classes and activities we do at Hove Village are included within your fees, so there will be no nasty surprises. This all-inclusive approach ensures that your child gets to experience and enjoy everything that's on offer. 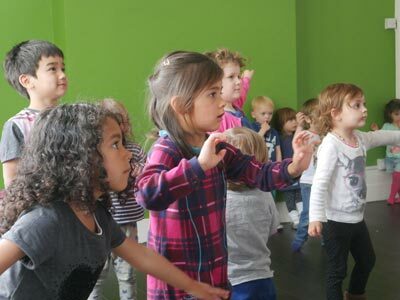 Through our dance classes the children are encouraged to move their bodies rhythmically to the music, to have the opportunity to express emotions or ideas, releasing energy, or simply to delight in the sound itself. Music and dancing is part of rich cultural heritage for many people, sharing stories of the past and present and can be used to connect people together without the need for words. Children begin to respond to the music instinctively and this is a great opportunity for them to express themselves in a physical way. Our yoga classes are small and enable the children to refine movements their bodies make while sharing a fun learning experience together. Stories are shared in a group with the children manipulating their bodies into the characters and landscape of the story itself. The children are fully immersed in being the tree or being the animal throughout the tale with a calm relaxation at the end of our journey. This is where we can focus on our breathing, feeling the rise and fall of our breath ensures we are in the correct frame of mind for the rest of the day’s adventures. Storytelling is a great way to fuel a child’s imagination, however it is also a fantastic way to support children’s understanding and introduce the art of conversational debate. By carefully selecting a story and asking specific questions we can safely share our values and opinions and learn how to articulate these. Can we be friends if we don’t like the same food? What happens if you take something from someone without asking? Is it ok to feel sad sometimes? These are opportunities for debate and discussion where children learn to listen and value one another's opinions. We highly value outdoor exploration, offering opportunities to play daily in the garden and in the wider community taking full advantage of the local park right next door to our nursery and the local beach which is a 5-minute walk away. Here in the outside space the possibilities for creative exploration are endless; whether you are discovering the roaring of the sea or observing the swaying of the grass in the park. We are great advocates of the outdoors and love exploring all year round, so make sure you bring your wellies and a waterproof coat! Read more about outdoor learning at Hove Village. Not all of our creative opportunities are delivered through specific classes and the children have plenty of support within their rooms through building, mark making, baking and exploring the variety of resources available in both our indoor and outdoor environments with rooms specifically left as empty spaces to become 'places of possibilities' for the children to explore.